The spire of St Stephen's and West Parish Church on Dundee Road in Broughty Ferry, designed in 1871, has been damged by lightning. For more information see http://news.bbc.co.uk/1/hi/scotland/tayside_and_central/10181486.stm. A huge thanks to reader Tunji Lees for alerting me to two new additions to the records section of the excellent Fife Family History Society website at www.fifefhs.org. The first addition, Published Family Histories (www.fifefhs.org/Records/familyhistories.htm), is a summary of various published family histories that the society has come across over the years. The second is the Pathhead Feuars (Dysart) Lair Registers (www.fifefhs.org/Records/pathheadfeuars.htm) - you may have come across name variants in the form of 'tee names' in the north east, or nicknames and aliases in the Gaelic speaking communities, but have you ever come across the use of 'vulgo' names?! Check the database to find out more! Two more excellent databases on a site that is already stuffed with them! The Autumn launch is the first stage in delivering BBC One in HD. The majority of programmes in the BBC One network evening schedule will be available in HD at launch, and by 2012 it is expected that the vast majority of all BBC One titles across all hours will be in HD. So expect to see genealogical shows such as Who Do You Think You Are? and other series available in HD in the next couple of years...! The full release is at www.bbc.co.uk/pressoffice/pressreleases/stories/2010/05_may/28/hd.shtml. Regular readers of this blog will know that I occasionally gush wildly about the brilliant ScotFamTree forum (http://scotfamtree.11.forumer.com), a Scottish based genealogical discussion forum, television channel, online family history society and oh EVERYTHING*, all rolled into one! The reason is very simple - it won't stand still...! The latest innovation on the forum is a feature entitled SFT Families, whereby full members can submit a GEDCOM of their family tree to the site, which can be converted into a searchable database for other members to see if they can find a connection. To be able to participate, you need to be a Tier 2 member. Just to explain, there is a basic free membership, Tier 1, where you can past general enquiries, but Tier 2, which costs £8 annually, is where the goodies really are, and well worth signing up to. The site has a user guide which can be consulted online at sft-families-user-access-guide.pdf, but for full access and further details you'll need to sign up - full details are found on the thread entitled SFT Families. ScotFamTree currently has just under 3000 members, and I'd say this is probably just one more reason to join them in what is, in my opinion, the best Scottish discussion forum online - even if they don't clean cars or weed gardens! A huge thanks to Sarah Egan for alerting me to her gateway site for many of the comainn eachdraidh (historical societies) based in Lewis, Harris and the Uists. The site is located at www.ancaidreachas.com, and represents the Federation of Historical Societies in the Outer Hebrides. The site hosts individual links to individual comainn eachdraidh, an events guide and the latest news - well worth a visit if you have roots in the Western Isles! There has been a slight change to the way that the catalogue of the National Archives (Kew) website operates. The next census is in March 2011. To help us carry out this project in Orkney & Shetland we are looking to recruit a Census Regional Manager. Field staff may need to travel therefore applicants must have access to a motor vehicle. Appointment is subject to providing a valid Disclosure Certificate. As an equal opportunities employer, we welcome applications from all suitably qualified people and aim to employ a diverse workforce which reflects the people of Scotland. Comann Eachdraidh Uig has announced that author David S. D. Jones has published Morsgail: The History of a Lewis Sporting Estate, concerning the 14,000 acre estate extending from Kinlochroag to Hamnway and Loch Langabhat on the Isle of Lewis. For more on the estate's story, the lives of those who were tenants under the Mathesons and Leverhulme, and the new book, visit the society's blog at www.ceuig.com/archives/1226. The June issue of Discover my Past Scotland (issue 20) is now available to download in PDF format or to read online at www.discovermypast.co.uk. There's whale hunting in the deep and spirit hunting in the dark! This month, John Hannavy counts the cost of living in Victorian Scotland, Caroline Makein looks at testaments and inventories, Wendy Glass looks at the whaling industry, Sue Wilkes investigates the history of the Douglas family, Ruth Symes looks at Edinburgh in the 1830s, and Katie Howard goes to Alloa to look for family history resources. As well as the regular news and reviews, yours truly well and truly loses the plot this month and goes ghosthunting with my wife at Inveraray Jail - did things go bump in the night or did we just keep bumping into things?! There's all the usual events, Q&As, Bygone Days and more. Forget the ghosthunting, if you're not convinced to have a look for just £2.50, I'll be REALLY scared! Following my recent blog post (thanks to Graham MacDonnell) on the events of May 12th commemorating the Scottish born Sir John Alexander Macdonald, Canada's first prime minister, I've been contacted by Immanuel Giulea, Executive Director of The Société Macdonald-Cartier Society. Encourage civic engagement and discussions about public policy and other issues related to Canadian democracy and society. If you would like to know more about the Society visit www.macdonaldcartier.org. From Twitter, a quick update on Scottish Monumental Inscriptions (www.scottish-monumental-inscriptions.com), where Helen and her team have been busy bees! Some CDs due out soon - Burntisland Kirkton old Churchyard and St Columbus Churchyard (on 1 CD). Forgandenny and Forteviot in Perthshire are also due soon, followed by Newburgh Cemetery in Fife and St Aidens, Broughty Ferry, Dundee. Sheena Tait has been delving into the history of the Scottish Test Act of 1681, and unearthing the locations of some sources. For more on Sheena's work, look at her blog post at http://setait.co.uk/did-you-know-scotland-had-its-own-test-act/. Our June display focuses on Scottish Christian missions. It highlights the contribution that Scottish Presybterian churches made to the world missionary movement. Letters, diaries, notebooks and photographs illustrate some of the work carried out by missionaries from Scotland. Stories include those of Robert Laws (Malawi) and Dr John Anderson Graham (Kalimpong, India). Among the exhibits is the last known letter written by Dumfriesshire-born Jane Haining before her death in Auschwitz concentration camp in 1944. Material on show comes from the papers of the Church of Scotland Overseas Mission Board and other related sources. My family is stuffed with missionaries, though working through the English Presbyterian church rather than the Scottish. James Paton, brother of my great grandfather David, moved to London and had a family there in the late 19th century. His eldest son, Rev. William Paton, became the secretary of the International Missionary Society and worked for a time in the 1920s as a missionary in India. His sister Mary became a missionary and worked in China prior to the Second World War - she was rescued by a British destroyer dispatched from Hong Kong when the Japanese invaded in the late 1930s. William's son, Rev. David Macdonald Paton, also became a missionary, though as an Anglican minister, and also served in China, but was forced to leave following the Cultural Revolution. He didn't do too badly though, he ended up as one of the present Queen's royal chaplains and archdeacon of Canterbury Cathedral! If you have missionaries in your tree, there are several useful sites outside of Scotland which might also help. The main gateway for records concerning missionaries is the Mundus website (www.mundus.ac.uk), which lists over four hundred separate collections. The University of Southern California’s Internet Mission Photography Archive (http://digitallibrary.usc.edu/impa) is also well worth consulting, as is the catalogue of holdings for the London based School of Oriental and African Studies (http://squirrel.soas.ac.uk/dserve). There's also a display currently on at the library about how to ruin a good day's walk. It involves something called 'golf'...! From tomorrow the records of Grove Cemetery, Nellfield Cemetery, Old Machar Cemetery and St Clements Churchyard will be available; providing details of almost 24,000 burials. A further five cemeteries including the largest St Peter’s will be uploaded over the next two months [June and July] to provide a database of an estimated 192,000 burials. Aberdeen City Archives will be making available approximately 190,000 burial records across 10 complete cemeteries: Allenvale Cemetery (1875-1966); John Knox Churchyard (1837-1894); Nellfield Cemetery (1834-1941); Nigg Cemetery (1878-1923); Old Machar Churchyard (1863-1950); St Clement’s Kirkyard (1855-1927); St Nicholas Kirkyard (1824-1965); Spital Churchyard and St Peter’s Cemetery (1769-1972); and Trinity Cemetery (1882-1940). Three of these (Nellfield, Old Machar and St Clement’s) are already online with the remainder due to be uploaded over the next 6-8 weeks. Deceased Online hopes to add more records for the area shortly and we will make announcements as soon as possible. 6,731 burials, dated 1 January 1855 to 1 February 1928, are available as burial register scans with up to 34 entries per scanned page. 149 burials, dated 9 March 1905 to 21 November 1983, are available as lair register scans. • For the purposes of the UK Data Protection Act, the names and addresses of funeral applicants, and grave (lair) owners for burials during the last 75 years have been withheld from publication. UPDATE May 28th: The first batch of records are being rolled out over a couple of days. At time of writing some 8000 were already online, most will hopefully be online by end of play Friday or at latest Monday am. A major step in promoting public access to the historical records of the north east of Scotland will take place today when the archive catalogues of Aberdeen City Council and Aberdeenshire Council become available online for the first time. Researchers will be able to search 46 collections, consisting of 23,300 entries via the internet. Twenty of the collections are for Aberdeen City and the other 26 relate to Aberdeenshire collections. The most popular sources for family history, such as school records, parochial board/poor relief, burial registers, and Aberdeenshire militia records, are included. A substantial amount of lesser known collections are represented including: building warrants; Commissioners of Supply; New Street Trustees; and a large number of burgh collections. The Lord Provost of Aberdeen Peter Stephen said: “Aberdeen City and Aberdeenshire Archives exists to collect and preserve historical records relating to the City of Aberdeen and its locality and to secure significant modern records for future generation. Aberdeenshire Provost Bill Howatson said: “The launch of the online version of the Archive catalogue is a major step forward in promoting public access to the historical records of the north east of Scotland. The catalogue is available to search at www.aberdeencity.gov.uk/archivecatalogue. And get ready for another major announcement in my next post...! Scotland will be staging another Homecoming event in 2014. The First Minister Alex Salmond has announced that the event will take place to tie in with the 700th anniversary of the Battle of Bannockburn, the Ryder Cup and the Commonwealth Games. For more on the story visit http://news.scotsman.com/edinburgh/Next-Homecoming-event-given-date.6317055.jp. For those who have been concerned about privacy settings on social network Facebook, the site has now announced changes and a much simpler privacy settings control - for more, see http://news.bbc.co.uk/1/hi/technology/10167143.stm. 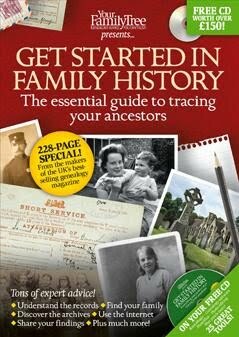 In this month's issue Ian Maxwell provides a basic intro into how to trace your Scottish ancestors, Alistair Moffat pops up with an insight into the history of the clans (a good read - Alistair was once my boss from a three year stint I did at Scottish Television, and knows his stuff! ), there's a Scottish research directory, top ten Scottish websites, editor Penny Law visits the Hawick Heritage Hub, whilst yours truly provides a Scottish themed Online section, with latest Scottish online developments and a guided step through the ScotlandsPlaces website. For all you Sassenachs though, there's also a great deal of additional material. Shackelton's Antarctic Adventure is put under the spotlight, Bob Blatchford looks at the youth of today in comparison to a century ago, Dilip Sarkar goes in search of the Few, Keith Gregson examines what made our ancestors laugh, Nigel and Sue Wilkes look at the silk industry, Nicola Lisle tastes a bun from Bath, and Sharon Brookshaw looks at open air living history museums. 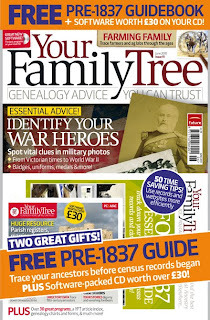 All the usual regular features, and there's five copies of my book Researching Scottish Family History up for grabs, as well as £100 worth of ScotlandsPeople vouchers in this month's competitions. As part of a programme of family history taster sessions at must-visit venues across Angus and Dundee, Tayroots will be providing free assistance with ancestral research at Glamis Castle on Thursday, June 3, 2010. During the one-day event, the Tayroots team will be helping visitors to Glamis Castle find out more about previous generations of their family and the lives they led. As well as providing information about how to access the wealth of ancestral history resources in the local area, the Tayroots team will also be handing out the newly-launched Tayroots Pass, which provides special offers and discounted admission prices to historical attractions in the Angus and Dundee area. The Tayroots team will be joined at Glamis Castle by members of Tay Valley Family History Society, which focuses on families with ancestral links to Angus, Fife, Kinross and Perthshire. The June 3 Tayroots Family History Taster Session will be held in the Exhibition Room at Glamis Castle. For more information about Tayroots, visit www.tayroots.com. A transcription of the 1832 Electoral Roll for the parish of Dunblane has been posted online at http://caledonianconnections.com/1832DunblaneRoll.aspx. "The case of the British Library goes even further. Just yesterday, the library announced the digitisation of their newspaper archive – originally given to them by publishers as a matter of legal obligation. "This is not simply being done for posterity, nor to make free access for library users easier, but also for commercial gain via a paid for website. The move is strongly opposed by major publishers. If it goes ahead, free content would not only be a justification for more funding, but actually become a source of funds for a public body." He also describes the move as "controversial". Not for this humble researcher...! It just so happens that Murdoch is also in talks with Google about possible compensation from the internet company for aggregating News International media content on its site. So there. The full story is at www.guardian.co.uk/media/2010/may/21/james-murdoch-attacks-british-library. As announced recently on this blog (see Cameras at the Ready on May 11th), the National Archives of Scotland is holding a trial period for photography at West Register House. The institution has released further details now about the three month trial at www.nas.gov.uk/documents/selfServicePhotography.pdf. The Search Room Officer must be consulted on every occasion to determine whether there are any copying restrictions and ensure that the material is robust enough for this process. Items must be handled with care at all times and laid on the tables, or camera stand provided, for copying. Only standard Search Room weights and supports should be used to hold records in place. Folding, smoothing or any action which may damage the record is forbidden. Anybody wishing to use the service must also abide by copyright rules, as noted in the online leaflet. This time round, Adam Rees explores the future of the National Archives in a cost cutting era, Paul Reed looks at military photographs and portraits, Audrey Linkman looks at historic photos of athletes, Ian Waller examines farming records, there's an article on genealogy fairs, another on how to trace Welsh ancestors, a look at Lincolnshire, and a brilliant piece on the rise and fall of child labour by Sophie Jackson. Yours truly has co-written a feature on time saving tips (with Andrew Chapman), and another piece on online records for research in the Republic of Ireland (Northern Ireland is covered next issue). There's also the usual regulars of case studies, surname explanations and more. 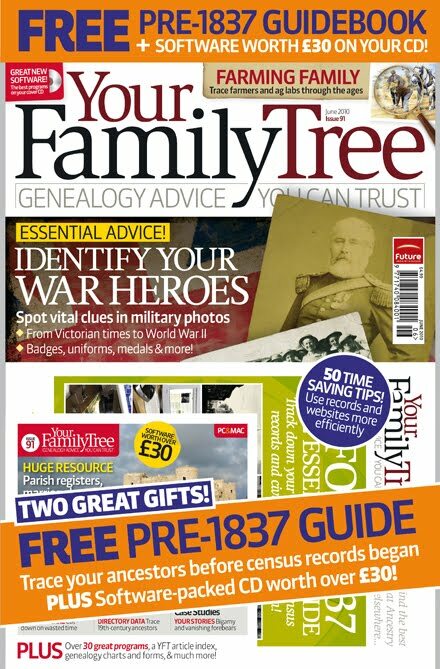 If you are new to YFT, there is also a 228 page special on sale entitled Get Started in Family History exclusively available at WH SMith. It reprints some of the magazine's earlier articles, with many updated - there's a detailed piece on the ScotlandsPeople Centre, for example, which I've updated for it, and many others from other writers, again covering the whole UK. If you can't find it in WH Smith, you can order it from www.myfavouritemagazines.co.uk, priced £12.99. It's such an important development, they made a movie...! Long term readers of this blog know that I really rate both Family Historian 4 and My Heritage's Family Tree Builder. There's a new one on my list now - TreeView 2. TreeView 2 is found on the The Genealogist website at www.thegenealogist.co.uk/tree. You may not be too familiar here in Scotland with The Genealogist, because most of its records are predominantly English and Welsh based, though there are some Scottish items, such as a Landowners list from the 1870s etc. However, if you've not visited before, it is worth it alone to see the new programme. At the moment, both the old version of TreeView is on the site, and the new version 2, which is in beta mode, but they are very different in look and feel - once version 2 comes out of beta, the original will be phased out. Edinburgh's ScotlandsPeople Centre (www.scotlandspeoplehub.gov.uk) has announced that it is currently experiencing intermittent problems with its old DIGROS computer system, located in the Dundas Room. If you have made a booking for a seat on this, or are a long term ticketholder, you may wish to change your booking for a seat on the new ScotlandsPeople Centre network until it has been resolved. The British Library’s Chief Executive, Dame Lynne Brindley, will today announce a major new partnership between the Library and online publisher brightsolid, owner of online brands including findmypast.co.uk and Friends Reunited. The ten-year agreement will deliver the most significant mass digitisation of newspapers the UK has ever seen: up to 40 million historic pages from the national newspaper collection will be digitised, making large parts of this unparalleled resource available online for the first time. Spanning three centuries and including 52,000 local, regional, national and international titles, the British Library holds one of the world’s finest collections of newspapers. Each year the Newspaper Library at Colindale is used by 30,000 researchers in subjects ranging from family history and genealogy to sports statistics, politics and industrial history. This vast resource is held mainly in hard copy and microfilm, necessitating a trip to the north London site for people wishing to use the collection. The partnership between the British Library and brightsolid will enable the digitisation of a minimum of 4 million pages of newspapers over the first two years. Over the course of ten years, the agreement aims to deliver up to 40 million pages as the mass digitisation process becomes progressively more efficient and as in-copyright content is scanned following negotiation with rightsholders. Delivering the keynote speech at the Westminster eForum this morning (Wednesday 19 May), Dame Lynne Brindley outlined how the partnership will transform access to this vital part of the national memory. Digitised material will include extensive coverage of local, regional and national press across three and a half centuries. It will focus on specific geographic areas, along with periods such as the census years between 1841 and 1911. Additional categories will be developed looking at key events and themes such as the Crimean War, the Boer War and the suffragette movement. The aim will be to build a ‘critical mass’ of material for researchers – particularly in the fields of family history and genealogy. brightsolid, a subsidiary of Dundee-based publisher DC Thomson, was selected following an EU procurement process. brightsolid has previously delivered the highly successful 1911census.co.uk project in partnership with The National Archives (TNA) and owns the leading family history resources findmypast.co.uk and genesreunited.co.uk. brightsolid is taking on the commercial and technical risks of the project, with no direct costs to the British Library. The firm will digitise content from the British Library Newspaper Library, which it will then make available online via a paid-for website as well as integrating it into its family history websites. This resource will be available for free to users on-site at the British Library and copies of all scanned materials will be deposited with the Library to be held in the national collection in perpetuity. Chris van der Kuyl, Chief Executive of brightsolid, said: “We’re delighted to be working with the British Library on such an exciting project. Digitisation will mean that those people who haven’t previously been able to access the physical resource will now be able to access it from anywhere at any time. In particular it is an important resource for the genealogy community, which we are closely involved with through our brands findmypast.co.uk and genesreunited.co.uk, helping them to bring to life how their ancestors lived. It will also offer a unique insight into major events and key periods of historical interest. Along with out-of-copyright material from the newspaper archive – defined in this context as pre-1900 newspaper material – the partnership will also seek to digitise a range of in-copyright material, with the agreement of the relevant rightsholders. This copyright material will, with the express permission of the publishers, be made available via the online resource – providing fuller coverage for users and a much-needed revenue stream for the rightsholders. The successful appointment of brightsolid as its newspaper digitisation partner will help the British Library to fulfil its strategic goals of long-term preservation of and access to the national newspaper collection. The Library’s newspaper strategy aims to secure the future of this unique resource by moving the hard-copy collections from the current building at Colindale to a purpose-built storage facility in Boston Spa, West Yorkshire. Access to the collection will be provided via microfilm and digital copies made available at the Library’s main site at St Pancras. * Comment - looks like the British Library has now realised that making stuff available to academics first is ignoring the true potential of its holdings. The British Library is our library - not that of academia. So major kudos to the British Library - and well done to Brightsolid. To be honest, that would probably be a good move - I've seen a few episodes already, and having been designed around commercial breaks, it will probably work better on Watch, which also runs commercials. It certainly whizzes past much faster than the UK editions! The summer series of the UK version is apparently still on though. For the moment...! FamilySearch (the Genealogical Society of Utah) has launched an online microfilm ordering service, to save you having to visit your local family history centre to make such an order. The service is online at https://film.familysearch.org/, but the society advises checking first that your local branch does not already hold what you are looking for - e.g. Paisley's centre has a good deal of Irish material in stock. To see what can be ordered up, use the society's online Library Catalogue at www.familysearch.org/eng/Library/FHLC/frameset_fhlc.asp. For details of your local Scottish (and other) family history centres, see www.familysearch.org/eng/library/FHC/frameset_fhc.asp. I've just noticed that the English based Federation of Family History Societies is offering 5 copies of my book Researching Scottish Family History as a prize for their competition this month - very decent of them! :) To enter, visit www.ffhs.org.uk/ezine/ezine1005.htm - the question is dead easy, but while you are there, also well worth a look at the society's e-zine! Meanwhile, I've now submitted the text for my next book on genealogical internet resources for UK research which will be available from Pen and Sword in the very near future - more details in due course! The 1901 Irish census will be released online on June 3rd, according to the Derek Mooney show on RTE's Radio 1 today, and as reported today on Rootschat. The census will be made available on www.census.nationalarchives.ie free of charge, and unlike the previous 1911 census launch, will be released in its entirety in one go. Thanks to the anonymous poster on an earlier thread of this blog for the tip off! UPDATE 18 May : This is now confirmed on the NAI site itself. 1. Teachers in schools in connection with the Church of England; male students in the Training Schools of the National Society, and of the several Diocesan Boards of Education; and female students in the Training Schools of the National Society (Whitelands, Chelsea), the Home and Colonial School Society (Gray's Inn Road, Holborn), and the Salisbury and York and Ripon Diocesan Boards of Education. 4. Teachers of schools in Scotland, in connection with the Established Church; male students in the Edinburgh and Glasgow Training Colleges; and female students in training schools. 5. Teachers of schools in Scotland, not in connection with the Established Church; male students in the Training Schools of the Free Church (at Edinburgh and Glasgow); and female students in training schools. This is the list, corrected to 1 January 1851, published in 1851. To access the records visit www.theoriginalrecord.com. The Society of Genealogists & Pharos Teaching & Tutoring today announced a new joint programme, the distance learning Certificate of Family History Skills and Strategies (Intermediate). The Society of Genealogists, in conjunction with Pharos Teaching and Tutoring Ltd is now bringing its popular classroom programme to the Web. Following successful pilot courses last year, the Society and Pharos have teamed up to make available a full course of instruction, with assessment, to any interested genealogist anywhere in the world. First modules in the Skills and Strategies programme will be offered in September 2010. It will be possible to complete all 10 modules in an 18 month period. Tutors include the well-known authors and genealogists, Gill Blanchard, Liz Carter, Else Churchill, Simon Fowler, Sherry Irvine, Michael Isherwood and Stuart Raymond. All have made significant contributions to the world of family history and bring a wide array of records knowledge and teaching experience to the online classroom. The Skills and Strategies course is suitable for genealogists who have had at least two years experience in family history research in England & Wales and have mastered the fundamentals of census, civil registrations and parish registers but who now wish to move on to new records and a greater understanding of research methods and skills. Students choosing to take all ten modules as a full programme with assessments leading to the Intermediate Certificate can sign up now at an introductory price of £450. This represents a saving of £42.90 on the full listed price. Each module is monitored by the Society to ensure excellent standards of content and teaching. Students may, alternatively, choose not have work assessed and to take any arrangement of individual topics. Courses taken individually without assessment cost less. 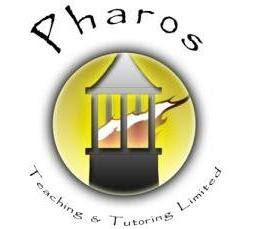 Else Churchill, Genealogist at the Society & tutor on the new programme, said today “The Society of Genealogists is delighted join forces with Pharos to offer the highly regarded SoG courses and education programme to a wider audience than can attend the Society’s classes in London. The Skills and Strategies course will offer a practical opportunity for family historians to take their research further and to develop their own expertise and understanding of genealogical sources and techniques. Over 155,000 cards recording the award of campaign medals to merchant seamen in the First World War are now available on DocumentsOnline. These record the award of the British War Medal and the Mercantile Marine Medal. The cards are from the catalogue reference BT 351 (BT 351/1/1 and BT 351/1/2). MT 9/1404 Silver War Badges awarded to First World War merchant seamen should also be added later today. The event commemorating Sir John A. Macdonald's Highland roots and contribution to the development of the Dominion of Canada that held in Kincraig and Dalnavert Farm (near Feshiebridge) was well attended on Wednesday, May 12 with over 60 people. Fergus Ewing, Minister for Community Safety attended and spoke briefly at the Kincraig Community Hall. Needless-to-say, the Scottish Government Communications Department had their machine well-oiled as the event got both pre- and post-event publicity in a wide range of newspapers and television news outlets. While the event, conducted by the Badenoch and Strathspey Local History Group, was designed to emphasise the Scots-Canada connection, focusing on Sir John, the media picked up on his role in the creation of the "Mounties", otherwise known as the Royal Canadian Mounted Police, which was formed in 1885 and then known as the Northwest Mounted Police, whose mandate was to put down a rebellion by the Metis people, led by Louis Riel, who only wanted rights like the white, Anglo-Saxon males that led the country. That undertaking was a very small part of Sir John's contribution to the development of Canada as we know it today. Due to media simplification, most summarised the venue as being the home of Sir John's parents, when it was the birthplace of his mother (1778)and birthplace of his first wife (1809). Yours truly met Minister Ewing, the Deputy High Commissioner from Canada - Claude Boucher - and retired University of Edinburgh Professor Ged Martin, who is the foremost academic expert on Sir John. James Hunter from the Centre for History, UHI Millenium Institute in Dornoch, was there with some of his staff, who gave a number of presentations on lesser-known Scots who have contributed to the development of the American west as well as to the Canadian west. Insights were presented in the extent of Gaelic in Nova Scotia and the Scots culture throughout the Maritimes. Edinburgh libraries are now offering access to Ancestry.co.uk's library edition - much the same as the home edition, but without DNA Ancestry and some of the other peripheral parts of the full site. The Scotsman Digital Archive is also available. For more information see the library's Electronic Resources page. The Toronto branch of the Ontario Genealogical Society is planning a Scottish genealogy workshop on June 18th 2011 at North York Central Library, with the library co-sponsoring the event. Yours truly has been very kindly invited to attend as a speaker for the day, and I am provisionally planning to give talks on the nature of the Scottish church, house and land history, and the Scottish weaving industry (focussing on the trade in Perth). There will also be other speakers, with plenty of other topics to focus on, so should be a great and packed day for anyone researching their Scottish ancestry! The last time I was in Canada was in 1999, when filming the Celtic America TV series for Scottish Television. On that occasion, although predominantly working in the US, I managed to make it to Nova Scotia on three separate occasions (including a very nice wrap party at the Lower Deck pub in Halifax after three months filming! ), and Quebec on another occasion, staying at the Chateau Frontenac, but was only able to visit Toronto en route, seeing nothing more than the airport - so very much looking forward to remedying that! There will be more information on this in due course, but as it is being announced today at the society's annual conference, I thought I would give you the heads up from this end also - I look forward to seeing you in Toronto next year! Which hand for the Red Hand of Ulster? !